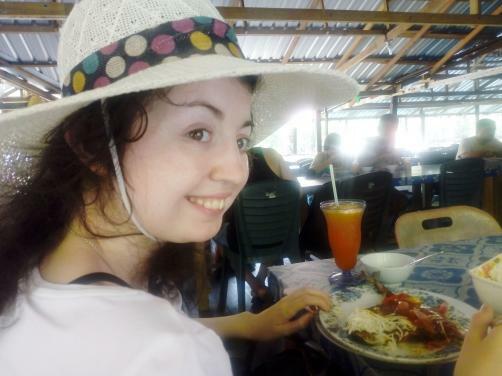 Affected as a young child by a rare disease which targets just one in 200,000 and led to neurodegeneration throughout her teens, Niamh ni Ruari now uses a wheelchair for mobility. She shares her story of life with her condition and a few thoughts on society’s attitudes towards the disabled community. Can you tell me a bit about the condition, your diagnosis and the symptoms you experience? I can't recall my first diagnosis at all, whereas the second diagnosis is a bit hazy as all I remember is being in a room with a load of doctors. But I knew there was something wrong when I was 18 or 19 and I joined one (of few) support groups on Facebook and through that I was invited to join a group with others who have neurodegeneration (ND). I put two and two together and came to the conclusion, with what was going on in appointments and the subject of conversation by doctors and the similarity of symptoms in other patients, that I had LCH CNS neurodegeneration. How has your condition shaped your life? It has shaped my life dramatically. Earlier in life I used to want to be a runway model, but then this condition kicked in around age 13 and started attacking my cerebellum, and all of a sudden I walked with a limp. A few years later I needed crutches and knew a modelling career was out the window, but didn't understand why my mobility was continuing to get worse. I would put on a brave face and pretend everything was under control while in the background I would fall apart and cry every time I would lose another part of me. I became very latched onto music as I felt music it the only thing that could relate to me on the same level. I decided in fifth year, the second-to-last year in secondary school, that I wanted to become a journalist to spread awareness of this condition and rare diseases in general. I have now discovered a new passion for public speaking and feel my message is very relevant today. With people at any age taking their lives, I want to spread a message as to why hope has such an important part to play in each person's life. Going through that feeling and wanting to commit suicide during those years of deterioration and feeling alone, I hung on to the hope that I would find a way out. Now I have with a (very supportive and attractive) partner and a young son by my side. What treatments, if any, have you received to manage your condition? I've not been through too many treatments. Those that I have received so far have all been chemotherapy-based, which when people hear, they shudder. I had a three-week treatment at three years old after my original diagnosis. The chemotherapy was called Vinblastine, which put my illness in remission. My family then moved my younger brother and myself to Dublin, Ireland when I was six years old and was no longer at risk of coming out of remission, as both my parents were born and raised in Dublin. Unfortunately, I relapsed while living in the city. As Dublin doctors weren't as informed as the UK about this illness, nor had as much experience dealing with patients living with it, they were not equipped well enough to treat my condition; as a result I went untreated for five years. These years were detrimental and could be the difference between me getting my mobility back or being in a wheelchair for the rest of my life, but I don't know if this is the case and neither do doctors, so it's really up to me to write my own future. When I was 20, I tried a chemotherapy called Cytarabine which showed a tiny bit of hope but I was only on that drug for a year. I am now in the middle of getting a chemotherapy B-raf gene inhibitor. What has the experience of having such a rare disease been like? How do you think it differs from a more common condition shared by many? Where have you sought and/or found support? I have found support through Facebook pages. Once I found one page, the rest found me. I have befriended some adults as they are going through what I am, trying to live a quality life while battling a life-changing illness, and a few parents whose children have some form of LCH, usually ND – because although no two people are the same, we have similar symptoms. This illness affects 1 in 200,000 people so finding someone else with the same condition in a small country like Ireland is very rare; most patients with LCH are living in America or Canada. You maintain a blog online which details your experience and journey. How has blogging helped you to live with such a long-term disease? Blogging definitely allows me take out some frustration and a hope that someone with power will read and do something, but I don't feel I get as much interaction as I should to really make a difference. I don't have enough interaction to find others with this condition; because no two people are the same, it's hard to find someone with similar symptoms. It's like everyone is fighting their own individual battle, which in a way is good because it means there is no set outcome so everyone with this illness can write their own destiny, but then again it’s like taking a stab in the dark because you have no one to compare results to. What changes would you like to see for people in a situation similar to yours? Boy, do I have a lot of changes I would like to see. Do you have any advice for those who have been newly diagnosed with a similar condition? To others newly diagnosed with ND, I would recommend getting tested for the B-raf mutation, and depending on that outcome, begin treatment. And do lots of physiotherapy to prevent neuron pathways from becoming disconnected. It really is a race against time so it's so important you follow through with what the doctor recommends to save as much mobility as possible.